a. Assemble a Japan-US forum focused on multi-disciplinary science and medicine necessary to increase our understanding of blast injury. b. 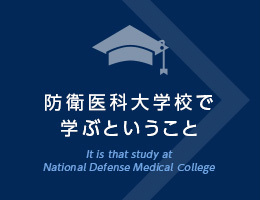 Achieve a mutual understanding of US/Japan efforts in blast injury research. c. Identify knowledge gaps requiring collaborative research. d. Increase understanding and collaborate to improve prevention, clinical diagnosis and treatment of brain, lung and auditory blast injuries. Contributions from countries other than Japan and the US as well as from young investigators are welcome. For more details, please see the “Final Announcement” and "Program (revised)" posted below. Pre-registration is required for all the participants. The preregistration deadline is April 10 (Tue). Absolutely No “On-Site” registration. Registration is free of charge. Please complete the preregistration form posted at the conference website and submit it by email or fax to the JUFBI 2018 secretary office. For the participants who want to stay at the Forum venue, the JUFBI 2018 secretary office plans to reserve a block of rooms. Please send the hotel reservation form posted at the conference website not later than April 25 (Wed) by email or fax to the JUFBI 2018 secretary office.